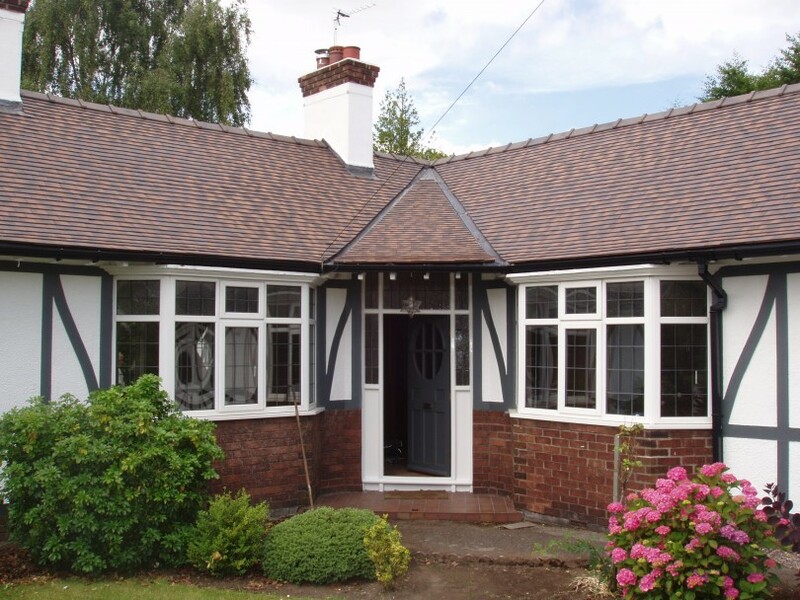 We have recently carried out a reroofing project on a bungalow in Lower Heswall. The bungalow and detached garage were approximately 80 years old and had the original roof of Clay Rosemary tiles which had come to the end of their natural life. Our in-house scaffolding team erected scaffold to the perimeter of the property to give us safe access. We then stripped off the old tiles and battens and cleaned out the roof space. The owner of the property wanted to retain the look of the old roof and chose Clay Plain Tile which were fixed to new timber battens and breathable roofing felt. 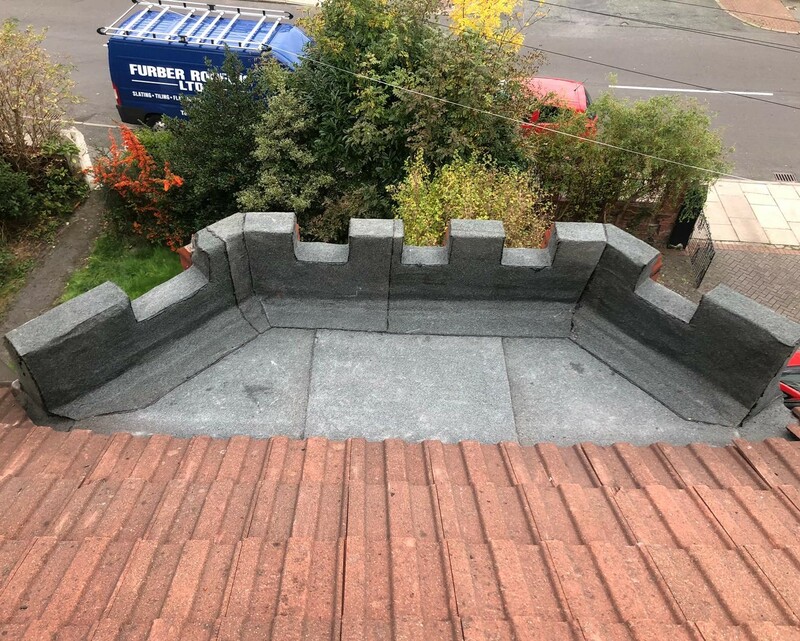 All lead work to the Valleys and chimney stack were replaced using new Code 4 lead, both chimney stacks were re-rendered using two coats of sand and cement mortar and finished with two coats of masonry paint. All the gutters and rainwater pipes were replaced using new black UPVC materials to all elevations. All the old roof debris was carefully removed and the site was left in a clean and tidy condition. 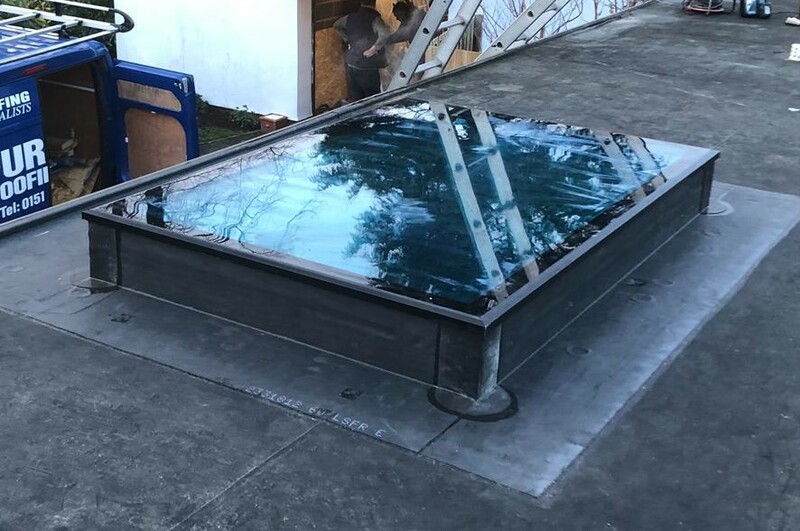 With all our reroofing works we can guarantee all our customers quality based workmanship on domestic and commercial properties as all our tradesmen are highly qualified, skilled craftsmen, who have the necessary credentials, knowledge and expertise to carry out all works. With our own in-house scaffolding division, means we have the complete service on offer. 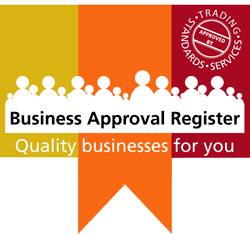 With reroofing projects fully guaranteed-with 10 year insurance backed guarantees from Trust Mark-through the NFRC-you are left in no doubt about the commitment we give to all our customers.